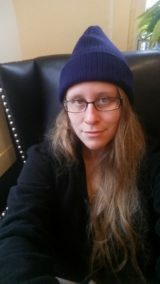 Jessica P. Wick is a writer, poet, and an editor of poetry at Goblin Fruit. Her work has appeared in Strange Horizons, Mythic Delirium, Cabinet des Fees, and Jabberwocky. She has recently moved from the West Coast to the East, and when she isn’t dipping her toes in the sea she is regarding the first snow flurries with smug recognition and wide–eyed wariness.